If you’re trying to find a job in the digital marketing field, you’re not alone. As one of the fastest growing industries of recent years, digital marketing is an attractive, highly popular career option. It’s not hard to see why. As well as being an exciting and constantly evolving industry, digital marketing involves a unique blend of creativity, intuition, technical knowledge and analytical skill. This means a job in digital is always a challenge and never a bore! So how exactly do you land that dream digital marketing role? With no prescribed or linear entry process, it can be hard to know how to break into the industry and find the right job for you. But often the most important thing is to make sure you’re job searching in the right place. Great roles in digital marketing can be found easily if you know where to look! Here are seven of the best places to find your ideal digital job. There’s no doubt you’ve already heard of LinkedIn, especially if you’re interested in all things digital. It’s the most widely used professional networking site in the world, so if you don’t already have a profile, it’s time to create one. LinkedIn allows you to connect with a wide range of professionals in your industry, and it can be a great way to find a digital marketing job. Employers often take recruitment into their own hands via LinkedIn, searching for and approaching potential candidates directly, so make sure your profile is detailed, active and up-to-date. LinkedIn Jobs is also one of the best places to keep an eye out for digital marketing positions. This special section of the site allows you to set your personal job preferences, as well as conducting in-depth keyword searches to find roles that are right for you. LinkedIn Jobs also has its own handy smartphone app, keeping potential job opportunities at your fingertips at all times. Gumtree might not be the first place you think of when it comes to job searching, but it’s actually a real goldmine. 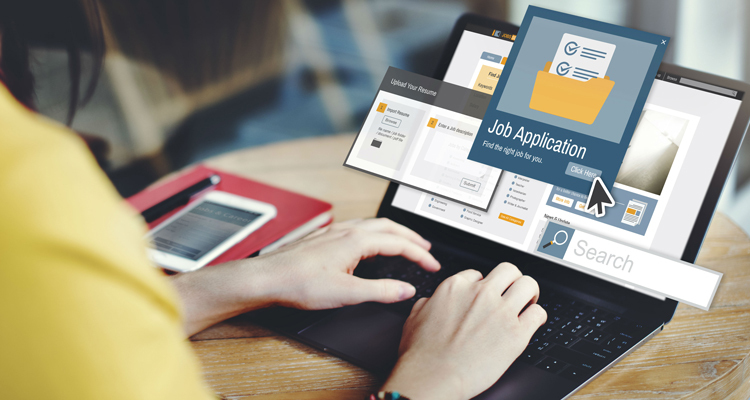 Its jobs section offers tens of thousands of great opportunities, especially when it comes to local and small businesses, who will often be looking for help when it comes to their digital marketing campaigns. Make sure you use keywords and search filters to your advantage when browsing Gumtree’s jobs. There may be hidden digital roles in sections other than the obvious ‘Marketing & Communications’ and ‘Advertising, Arts & Media’ categories, so ensure your search is thorough. Try including a variety of key terms such as ‘social media management’, ‘online content’ and so on. Searches can also be filtered by location, making it easier to find great local roles, and there are also lots of work-from-home opportunities available on Gumtree – especially in the digital marketing sector. Sometimes, you just can’t beat a good, old-fashioned in-person networking event. While online is the most obvious place for job searching these days, especially when it comes to digital roles, don’t underestimate the power of real-life networking. One great place to find networking events in your local area is Meetup. This site is dedicated to bringing likeminded people together through local events, and its Career and Business Meetups section is the perfect place to do a little research for potential digital marketing opportunities. All you have to do is specify your desired location, browse the available options, then get ready to attend an event and do some serious networking! It can be intimidating to network in person, but if you head in with a positive attitude and a demonstrated eagerness to work hard in a great role, you’ve got nothing to lose. Remember to take a stack of business cards, complete with details of all your online profiles and your website if you have one. A strong online presence will show potential employers that you’re perfect for a role in digital marketing. You should also be sure to follow up any promising conversations with a LinkedIn connection or even a quick email. Facebook is another place you may not have considered when looking for a job. However, there are many groups dedicated solely to sharing job postings, and browsing these groups can be an especially handy way to seek out industry-specific opportunities. Be sure to join groups such as Sydney Startups or relevant digital groups which match your career. Also be sure to check out groups specific to your country or local area. Joining relevant groups will help you stay on top of the latest opportunities, as you’ll be constantly receiving notifications and new posts in your personal Facebook feed. Niche community sites such as GrowthHackers.com and Inbound.org are also a great way to locate digitally focused roles. These sites also offer a great means of staying up to date with the latest news and information in the digital world. Forums have been used for many years online to communicate and they can also be fantastic for finding job roles. Some examples of popular forums for finding jobs online are Whirlpool. Other industry forum sites such as Silicon Beach Jobs can be a great place to find new roles. Twitter search can be a great way to find relevant jobs in your area. By using relevant keywords you can find jobs which have been posted by official company accounts, personal team members or syndicated content. So there you have it, seven great places to start your search for the perfect job in digital marketing. Good luck! James is a passionate content creator and real estate agent working at OpenAgent, real estate professionals in Sydney, Australia.